With productions that rival even some of the best local adult theatre, Children’s Musical Theater San Jose (CMT) isn’t just for kids. It is committed to providing excellent, accessible musical theater training for youth, with high-quality performances for families and the entire community. For more than forty years, CMT’s guiding principals have included casting all youth who audition, placing priority on high standards in all areas of production, and providing a positive environment in which young people can build self-esteem. Their programs give children of all ages an opportunity to learn teamwork and communication skills. CMT recognizes and values diversity of racial, ethnic, social and economic background in their audiences and performers. Are you an educator or school administrator interested in exposing your students to the magic of theater? 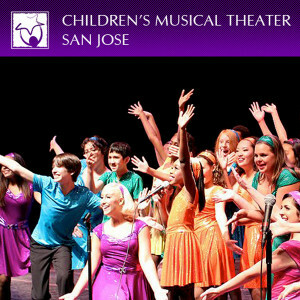 CMT San Jose (Children’s Musical Theater) offers special weekday morning performances for students of all ages from schools and community groups throughout the Bay Area. All Student Matinees include a Q&A session with the cast, led by CMT San Jose Education Manager, Deanna Knudsen, and a chance for your students to meet the performers after the show. Student Matinees are available for all CMT San Jose productions throughout the school year for only $10.00 per ticket (unless otherwise noted). View our performance schedule now to register. Year round. CMT Student Matinees are typically held on Thursday or Friday mornings. Please see our performance schedule for exact dates and current ticket availability. All performances take place at 10am. Please plan to arrive at least 30-45 minutes prior to the performance time. All performances are held at the historic Montgomery Theater in downtown San Jose (271 S Market Street, San Jose, CA 95113). We ask that any changes to your reservation be made at least 8 weeks prior to your scheduled performance date. In the event of a cancellation or seat reduction, the ticket buyer will be held responsible for payment and charged in full for the total number of seats reserved. Please inform us as soon as possible if you have tickets that are no longer needed. Late cancellations and no-shows deprive other students of the opportunity to have a valuable arts experience and will jeopardize your eligibility for this program in the future.